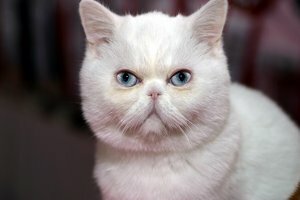 Actor Wilford Brimley, best known for his commercials and his role being locked outside in a shed away from the other characters in the movie "The Thing," has been found by DNA testing to be a Persian cat. 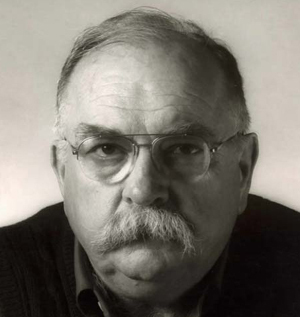 "That explains why I like fish so much," says Brimley. "It also explains why I scratch the table in front of my plate when I'm finished eating. I haven't felt a need to use a litter box, though. I use the toilet just like most humans except for the drunks who pee on the walls of houses around the bars in Fells Point, Maryland." Brimley's wife had no comment, except that she kept scratching him behind the ears. I always think of "The Thing" - that was a great movie. The resemblence is uncanny! Seeing Wilford makes me want oatmeal. Maybe the cat will substitute for Wilford's wax likeness at Madame Tussaud's. Oh, please don't forget the Carnival this week! I already submitted it, SB. It sure is priceless... and creepy.